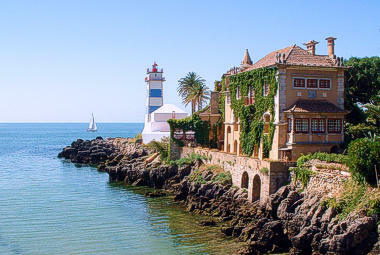 The Cascais-Estoril area is known to be rich in sights and attractions, causing this area to be quite sought after by locals and tourists alike. From historical buildings dating back to as early as the 15th Century such as forts, churches and small palaces there are also several multifunctional parks in which one can spend time with one's family, take a morning jog or read a book whilst taking advantage of the flora's pleasant shade on a hot summer day. Other interesting landmarks include cliff rock formations such as the Boca do Inferno, the brand new marinas of Cascais and Oeiras which are a little more than just a safe harbour in which to berth a ship and let us not forget Europe's largest casino, the Estoril Casino. 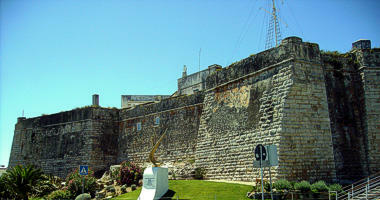 The Cascais-Estoril area is full of interesting sights. From architectural landmarks to food and beverage outlets with fantastic views you can be sure that there will always be plenty to see. The Guia House was inaugurated in 1895 by the current owner's grandfather, D. José Saldanha Oliveira de Souza. Located on the edge of the cliff overlooking the Atlantic, the property features various restaurants and cafes as well as stores selling fashionable clothes, beach-wear and jewellery. Boca do Inferno, translated as 'the mouth of hell' received its name due to the rock formation resembling a mouth and the tremendous sound the waves make as they break against it. Unfortunately it is also known as the site where many suicides have been committed, many by young couples in the name of love. 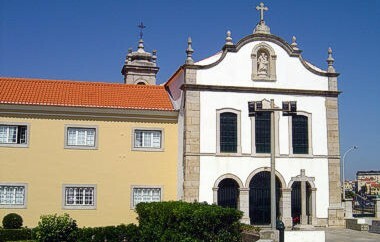 The Cascais Town Hall was built in the 18th century, before the big earthquake of 1755. Interestingly the date engraved above the door; 1821, is misleading as this was the date it was fully restored. The Town Hall sports an ornate facade of azulejos (portuguese tiles) depicting various catholic saints. 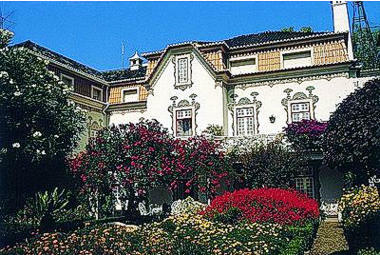 Built in 1902, the Santa Maria house was erected by the architect José Lino; one of the greatest Portuguese architects of the 20th Century, and is one of his most remarkable masterpieces. Located half way between the Lisbon and Cascais Marinas, the Oeiras Marina, opened for less than 2 years has had a raging success. The marina has been kept relatively small, with 274 berths for vessels of up to 25 metres in length. 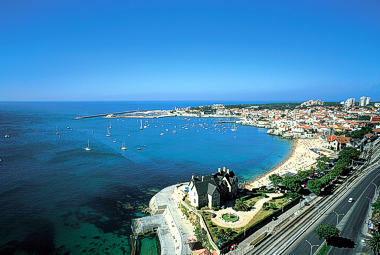 The Cascais Marina has a capacity of 650 slots and can dock ships up to 35 metres long. On land, the marina is well known in the area for its shops during the day and restaurants and bars at night. 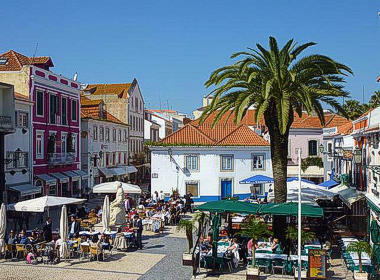 Definitely the 'centre' of cascais when it comes to a vibrant nightlife. This small square includes fashionable bars to the typical Irish pub at walking distance from the Pergola House, the hotel Baia, Villa Albatroz, hotel Albatroz, as well as a taxi stand (which for some is usually very appreciated at some point during the night). Parallel to the Valbom Street, the Frederico Arouca street was previously named the Direita street and is more commonly known as such to this day. It is known by the locals and tourists alike for its little stalls selling toys, jewellery, beach-wear and souvenirs. The street also features several shops and a bakery. 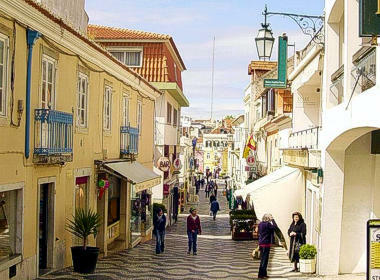 The street begins in front of the town's train station and ends in the Luís de Camões square. This beautiful house is located in the middle of the Valbom street, parallel to the Direita street, in front of the famous ice-cream parlour 'Santini' and close to several bookstores. Owned by the same family for generations it is currently possible to rent rooms. Built in the 20th Century by the architect, Thomas Henry this monument is a private residence and located immediately on the beach front. 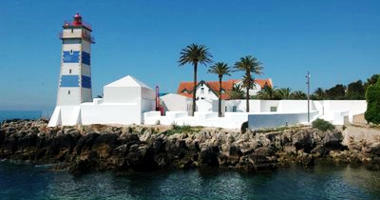 Although an emblematic building of Cascais it has never been open for visits by the public. Proudly presented as the largest cultural and leisure space of Portugal, the Estoril Casino is also the largest of its kind in Europe as well as the oldest Casino in portugal. Fireworks are released in its gardens during big occasions such as the New Year. Portuguese Kings have always been preoccupied with defending their capital, Lisbon from foreign invasion. Considering the city's location, their most direct threat would be an attack coming from the sea. For this reason, strategically placed military forts were established along the 'Linha da Barra do Tejo'; the length of coast between Cabo da Roca and the Tower of Belém, in order to defend the maritime access to the city against pirates and enemies. They are now part of Lisbon's Coast's landscape, some forgotten by time, others still monuments in use by the Portuguese Military. 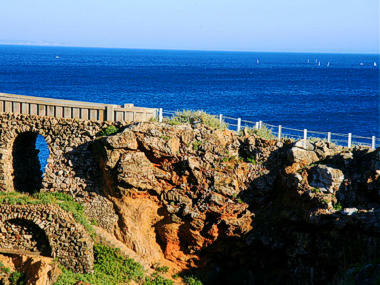 The Guincho Fort is located at the end of a dirt road on the edge of the cliff, its access is rather challenging. Also known as the 'Abano' Fort due to its proximity to the beach of the same name or 'Forte das Velas', the fort is currently in ruins. 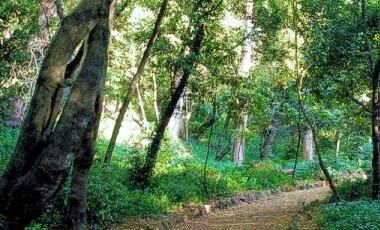 A project to is currently underway that will transform it into an interpretation centre of the Sintra's Natural Park. Built in the 1600's by D. João IV it is yet another example of the military architecture of the time. 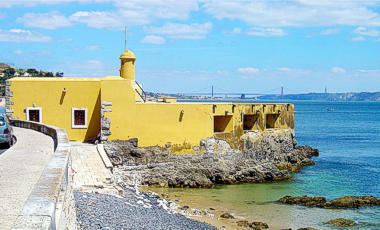 Built in 1643 to defend the Tagus River it was used to shelter small garrisons of 18 soldiers. Equipped with heavy artillery, the four cannons were removed early in the 19th Century and can no longer be seen at the sight. 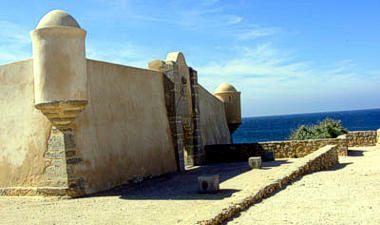 The fort was inaugurated as a historical military museum in 2001 by the Cascais City Hall after being restored according to a drawing dated 1796. Its primary function at the time of its use consisted in preventing enemy and pirate disembarking on Portuguese soil. 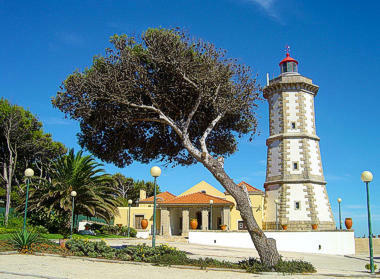 The Santa Marta Lighthouse and its fort are currently part of a joint project between the Cascais City Hall and the Portuguese Armed Forces. It has become since 2006 a joint venture that combines a local cultural and leisure attraction with its coastal signaling functions. The lighthouse continues to be a beacon for all passing ships. The museum focuses mainly on the history of lighthouses and a great deal of equipment was provided by the Armed forces. One can also visit the small houses in which the Lighthouse 'men' were lodged at the time. Built during the reign of D. João II (1481-1495) this fort was first named the Tower of Santo António. As most of the military coastal buildings in the area, its construction aimed to strengthen the defences of the Lisbon's imminent shores. The fort was later reinforced and renamed Nossa Senhora da Luz (our lady of the light) fort by D. Filipe I (1581-1598) as its defences were clearly not adjusted to the Spanish potential threat, led by the Duke of Alba. The Cascais Citadel is actually a prolongation of the Nossa Senhora da Luz Fortress and is the only part that can actually be visited today. It housed the Soldiers' Hospital, considered the most well equipped and competent infirmary in the whole Portuguese military history. 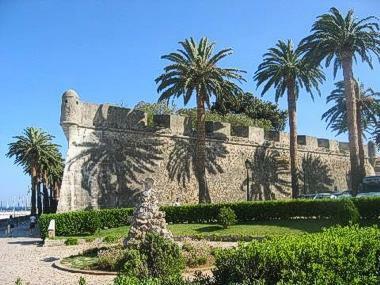 The Citadel lost its military importance in 1870 and from then onwards was used as a summer residence for D. Luís(1861-1889) and the royal family. This was also the location of the first maritime biology laboratory, set-up in 1986 thanks to D. Carlos. The Cruz Fort; whose full name is actually Santo António da Cruz Fort has very little published information concerning its history as such. Its use as a coastal defence became obsolete in the 19th Century which led to the fort being purchased by a rich financier (said 'rich capitalist' back in the day) João Martins de Barra in 1894. Although information before this acquisition is scarce, much history is kept of the 'house' now renamed the Barros Chalet. 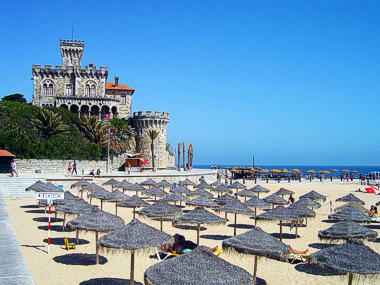 The Forte Velho sports a similar Joanino style to that of his fellow-forts on the 'Linha de Cascais' coast. 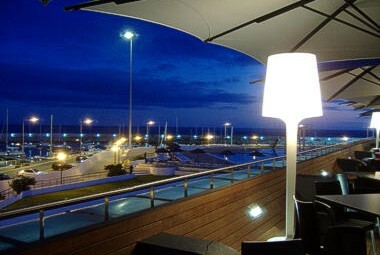 It has been for many years now, a bar and discotheque with views on the sea and a few metres away from direct access to the Poça Beach and the 'Paredão' promenade linking Estoril to Cascais. 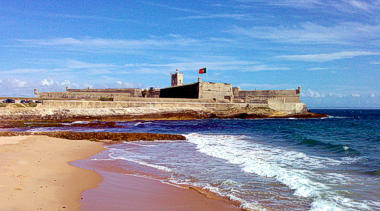 This small fort surveying the sea was also built during D. João IV's reign at the same time as the Guincho Fort. With the disappearance of the need for coastal defence. the small fort has fallen into neglect. 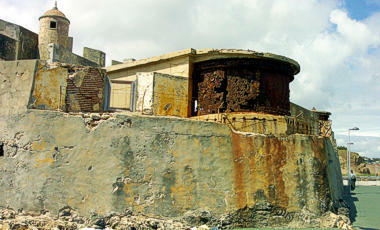 However, a recent project will soon revive the fortification into a small exposition centre and cafeteria. This is the largest and most complete military fort in Portugal. Nowadays, it not only is a national patrimony but also houses the Ministry of National Defence. Built in the 16th Century by D. João III it was designed; as were all the forts of this period in the area, by Miguel Arruda. Its function was to play a very important role in the defence. of the city and port of Lisbon mainly by controlling the entrances and exits of all maritime traffic. Its cooperation with the São Lourenço do Bugio Fort and the Towers of Belém and Velha Caparica worked towards this purpose. The fort of São Lourenço do Bugio (also known as the Bugio Tower or the São Lourenço da Cabeça Seca Fort) is located on a sand bank in the middle of the Tagus River, parallel to the city of Oeiras and the São Julião da Barra Fort. Built to create a crossfire with the São Julião da Barra fort, the tower was of high strategic importance in the 16th Century. 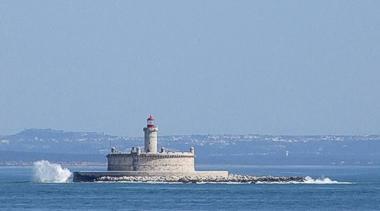 It is known that the Bugio lighthouse was already in place as early as 1693, using olive oil as fuel for its beacon. The tower was greatly damaged in the great earthquake of 1755 and was only fully functional again in 1775. The São João das Maias Fort was built in order to reinforce the São Julião das Barras Fort. This decision was put forward by the governor of the São Julião das Barras fort, D. José de Menezes who commissioned Álvaro de Sousa to build it in 1644. The structure was greatly damaged during the earthquake of 1755, but was restored by 1759. This fort which originally had been designed to hold 5 pieces of artillery in the 17th Century by 1833 had the capacity to use 17 large cannons, as it had undergone great restructuring over the centuries. 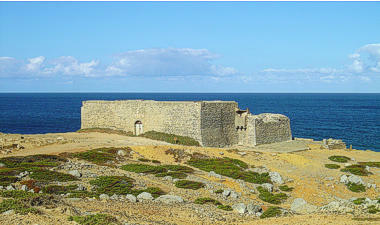 Like most forts, especially in this area, the Giribita Fort has a few aliases: Nossa Senhora do Porto Salvo Fort or Ponta do Guincho Fort. 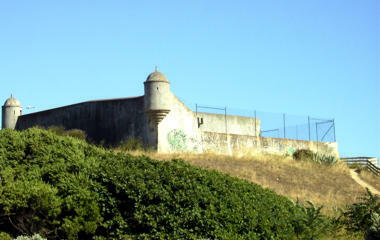 This small fort also served as a supporting unit to the São Julião da Barra fort in the defence of the maritime access to Lisbon and its Port. Built in 1647 by King D. João IV this fort also supports its larger counterpart, the São Julião da Barra Fort. 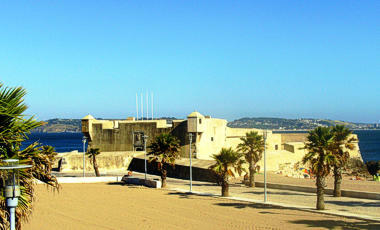 Interestingly it was used by António de Oliveira Salazar as a political prison during his fascist regime. Later, in 1976 it was donated to an association to be used as a holiday colony for youngsters, a use which is maintained until today although several improvements have been made over the years. Portugal throughout its history has been a very strong catholic country. It is common to encounter small chapels in the centre of towns and villages from times immemorial. 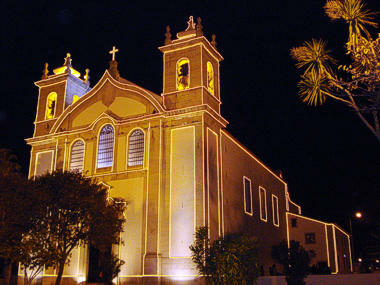 Some churches are designated as 'Matriz' churches, these are considered to be the largest, or most important within a county or large town. Like many historical buildings that have survived through the ages it is quite common for these places of worship to be known by several names. 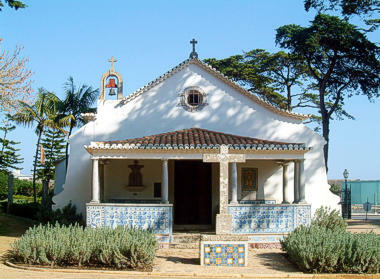 The Chapel of Nossa Senhora da Guia (Our Lady of Guia) is located beside the Guia Lighthouse and near the House of the same name. It is the oldest chapel in the area and sits on the cliff, surveying the ocean. 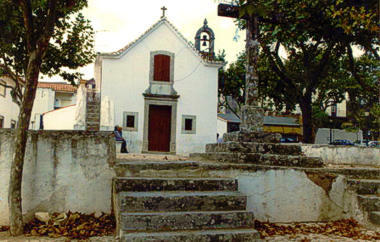 The Chapel of São Sebastião, sister-chapel to its immediate neighbour, the Chapel of the Gandarinha is located in the Marechal Carmona park. It is still in use today, frequently hosting catholic masses and spiritual singing events such as the performance of the Juvenile Oxford Choir in March 2010. 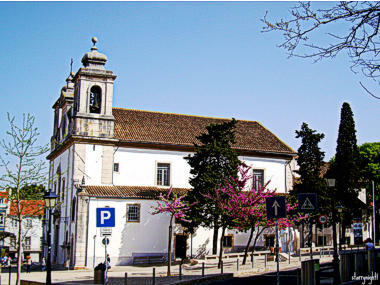 The Cascais Matriz Church, also known as The Church of Our Lady of the Annunciation is the church with most religious services in the area. Masses on Sundays and religious holidays are in effect at 10h00, 11h00, 12.00 and 19h15. This is also the church where King Humberto of Italy married his daughter in 1956. Considered one of the most remarkable barroque temples of the area. The present construction was edified over a hermitage which dates back to the 16th Century, the church's name over the centuries maintained its link to the 'Men of the Sea'. 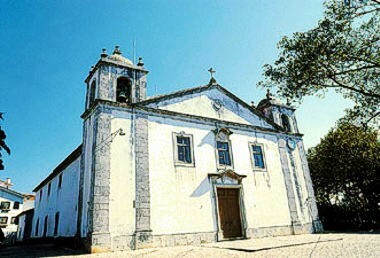 Built in 1527, the Santo António Matriz Church of Estoril was edified over the old hermitage of São Roque. Although the 1755 earthquake took its toll on this church, leaving it partially destroyed it was rebuilt in 1758. Later, it suffered another calamity, a fire in 1927. Nowadays it is the widely preferred church for weddings. Found in the centre of the small village of Livramento, the chapel, although re-built in the 18th Century, after the 1755 earthquake its origins are from a far older time. Simple in style it is held dear by the local population and still has the well and manual pump that until recently supplied the area with water. Considered in the past as the 'richest' church in the county, this title may have been more due to its size as it sports a rather modest interior behind its imposing facade. 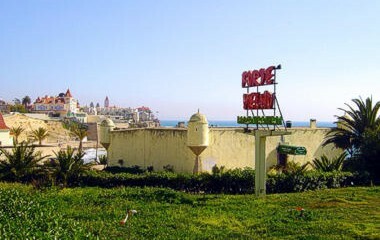 The two bell-towers on either side have exquisite views on the sea coast and were used in the past for maritime navigation purposes. Historical documents date this church back to the 16th Century, however it is known that it underwent some construction work in he 18th Century. 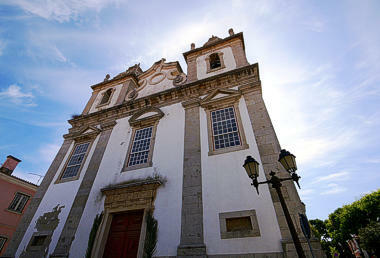 The Matriz of Oeiras Church is located in the centre of Oeiras, in the Largo 5 de Outubro. 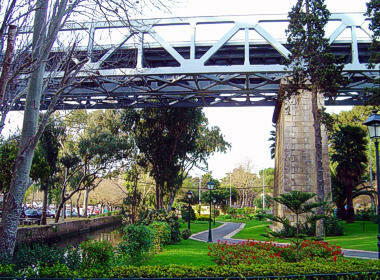 Located in front of the Cascais Marina, the Marechal de Carmona Park is also known as the Gandarinha park due to the fact that the Vice-Counts of Gandarinha had their residence there. 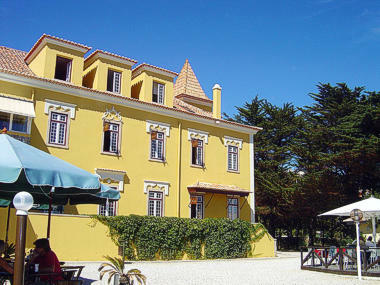 The Castro de Guimarães palace; previously owned by the Counts of the same name, is also located on its premises and contributes to the park's strong character. Featuring a mini-zoo, a large children's playground, extensive open green spaces and mysterious forest paths the Marechal de Carmona Park is also home to a library for children. 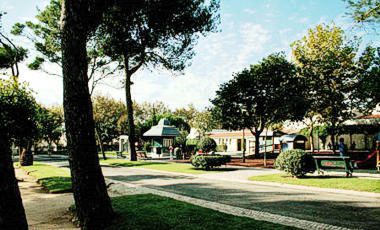 Like many of the parks in the area this park used to belong to another royal family, the Dukes of Palmela. It's terrain is longer than it is wide and perfect for jogging circuits. Very sought out in the summer due to its abundance of shade it is a regular place of gathering for practicing martial arts such as tai-chi and yoga. 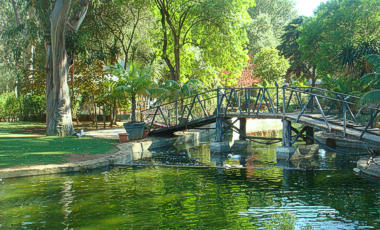 Known by many generations as simply the 'parque dos patos' (park of the ducks) this park has been open since 1934. Previously owned by an industrialist that owned the 'Portugal e Colónias' company, Domingos José de Morais, it was later sold to the town hall to be used as a public park. The Morais park features a picnic area, children's playground, and of course, the ducks which hold a special place in the locals' hearts. This park was designed by the architect João Ferreira Nunes, who was awarded 2nd place in a Landscape Architecture Prize in 2008 for his innovative creation. The park features 2 tennis courts, a children's playground and a large pond. Located very close to the Oeiras train station and the beach, this park hosts small antique fairs every 1st sunday of the month in front of the electric tram that is no longer used as a vehicle but as a children's 'ludotec', a place where children are encouraged to play and read. Featuring also a children's playground it is also referred to as the Almirante Gago Coutinho park due to its location on the street of the same name. 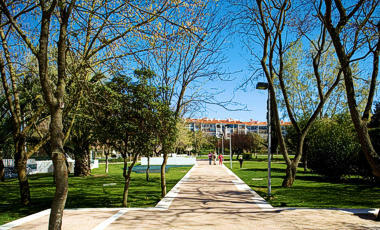 This park, as the name suggests, is dedicated to Portuguese poets. 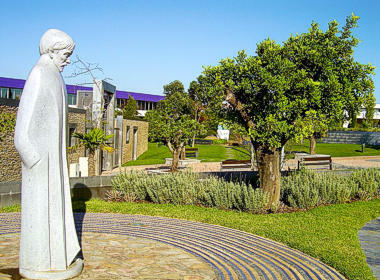 An avenue called the 'Alameda dos Poetas' makes a homage to several poets of different times such as Luís de Camões and Alberto Braga. The park occupies a total of 10 hectares and all of the sculptures were made by portuguese fine art schools. dedicated to art in its various forms it also has a cybernetic fountain and an open air amphitheatre.